Fight for climate change – save our future. This week I have given over my column to a group of students who want to tell you about the student strike for climate action. This is happening all over Australia at the end of November. 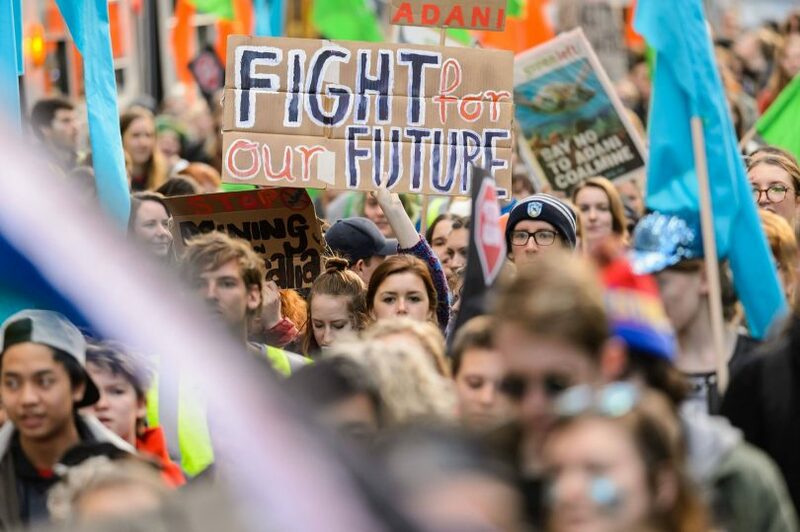 In Canberra, there will be a school walkout on Wednesday 28 November with students rallying at Parliament House from 9 am to demand more action on climate change from politicians. 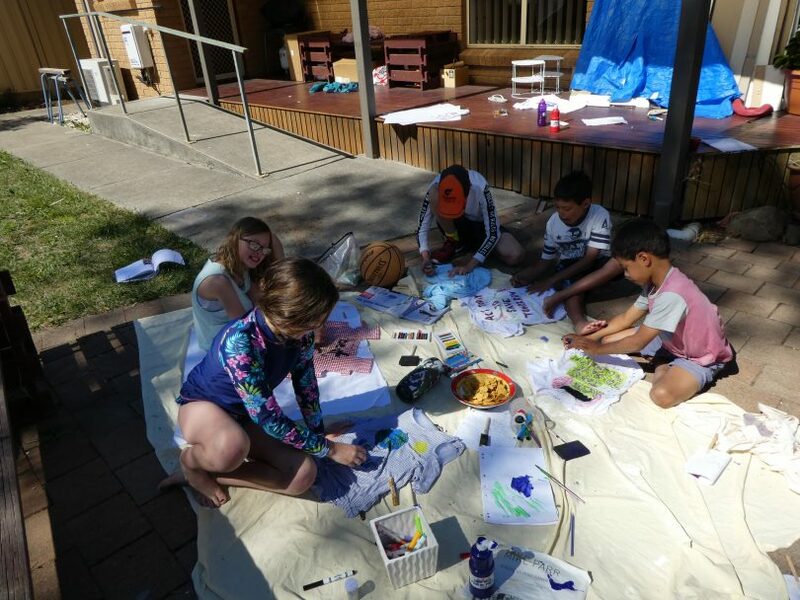 We are school kids from all over Canberra and the local region. We don’t know each other but have connected by getting involved in a student strike for climate action. We are planning to strike from school on Wednesday 28 November and attend a rally at Parliament House from 9 am. The Rally will call on politicians to do more about climate change. We will join students all over Australia who cannot understand why politicians are not doing more to protect our climate and our planet. While our parents have encouraged and supported us to get involved, we are doing this because we want adults to know that we care about this issue. While we don’t have any power, we want those who do to understand how important we think this issue is. We want the adults who are in charge to do what needs to be done to protect our future. We get taught at school to look at the evidence and act on what it tells us. On climate change, we know that almost all scientists agree this is a big issue. We believe what the scientists say, and think the grownups should too. We know that recently scientists from around the world looked at all the evidence and told people that if we don’t act right now, our planet will be in real trouble. We know they are telling us that even waiting ten years will be too late. Given what the experts are telling us, we don’t understand why politicians are still arguing and are not doing enough about this. We want our politicians to act now and not later. We learn about climate change at school and we are so worried about what will happen if we don’t do something now. The world will be a lot hotter and life will be really hard for everyone. Many of our amazing animals and plants will die. We won’t get to see the Great Barrier Reef and we will have more natural disasters. Islands will disappear and there will be more poverty in this world. We don’t want this to happen. We want to be able to see all of the natural beauty of this world and share it with future generations. We know that there are solutions to these problems. We know we need to stop building coal mines like the proposed Adani mine in Queensland and start using more renewable energies. We want to see politicians realise what they are doing and start thinking about what they are investing in. Instead of investing in big coal mines, we want to see investment in wind and solar farms to have clean energy and not polluting energy that damages our environment. We want to see support for new technology, like models of electric cars. We want to find different ways to do things like rather than allowing plastic ziplock bags, using bamboo lunch boxes instead. 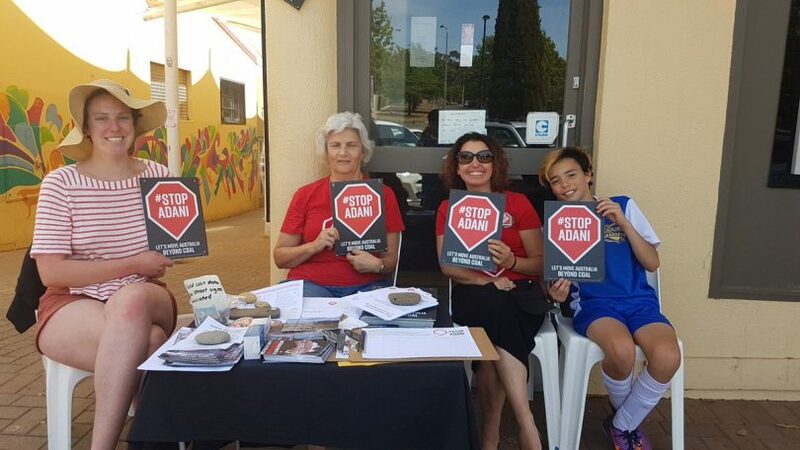 Reuben participating in a local action #stopadani action. We want you to see us, hear us and listen to us. We need you to know that normally kids just sit there, but now we are getting up to be heard. We really need our politicians to be brave. We need politicians to stop playing with our futures and recognise that we only have a limited time to do anything about this. Ayo, Zaki, Nia and Iolo preparing posters for the rally. We want politicians to show leadership and protect us from the impacts of climate change. We want politicians to recognise that we have the right to a stable climate and an earth we can live in and thrive in. This is something that your parents and leaders gave you. We think you need to make sure we get this privilege too. We hope that by taking this action, politicians think more about how the decisions they make will affect us and other young people. We hope they will understand how important it is to do something about climate change. If you are reading this and have young people who also care about this issue, please help them join the strike. If you are someone in power, please listen. Please let us know what you are doing to protect our future. Come and talk to us at the Rally at Parliament House at 9 am on Wednesday 28 November about what we can do. Please look after our climate. Please work for us and our futures. You have to admire the Climate Change Denial Group. They have certainly learnt their lessons well from their collation partners in the Ignore Science and Facts Movement. Their partners, the Anti-vaccination Community have known for decades that facts are their enemy. The greatest weapon they have is actually promoting the fallacy that this is actually a ‘debate’. The Climate Change Denial Group have studied this and learnt well. You see, a ‘debate’ implies that there are two sides with roughly equal valid arguments discussing the merits. So as long as they keep the idea that there is a ‘debate’ they remain relevant. In both Anti-Vaccination and Climate Change Denial there is no ‘debate’. What there are is one side which had 98% of experts in their field with a wide variety of peer-reviewed studies, doctoral papers, scientificly verified and obtain records and absolutely verifiable data. The other side has a couple of discredited reports, some anecdotes, a couple of personal experiences and their own hubris and sense of infallibility. There is no ‘debate’ . I can’t find any information about the “Climate Change Denial Group.” There is no such organisation as far as I can see. How much of the other stuff you have put forward is fake too? Quite right…there is no “Climate Change Denial Group.” It was a tongue in cheek comment on how two groups which have zero goals in common have learnt from each other on how to deny clear, verifiable and undeniable facts. I also forgot to mention the “Flat Earth Society” as being part of their coalition. Sorry if you didn’t get it. I also believe climate change is the biggest threat to our existence. I too despair that anything will be done in time. Most thinking people recognise the threat. But the hard right of the conservatives and the hard left (Greens) just use the issue to garner support (as can be seen here). Why does an aspiring Green politician need to put their name to this moving and well-written plea from young people? Does putting her name to it advance THEIR cause or Ms Vassarotti’s? The huge threat of climate change won’t be solved easily or quickly. It won’t be solved at all until our politicians put aside the narrow self interest of their party, discard ideologies, make some compromises and work for the common good. None of which will happen while politicians of the right and left use it as a vote-winner. No matter what these children believe there is nothing that can be done to control our climate which has been “changing” since history was being recorded. If they want to do something for the planet then they should put forward plans to control population growth which is a greater threat to our existence than anything else. I think that the belief ‘that nothing can be done’ is the biggest threat to our existence. I also think that if we do not control human actions that result in climate change, human populations will be decreasing rather than the opposite.